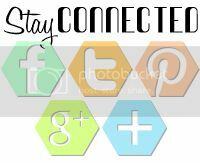 It's Sunday, and that means, Featured Stamper Challenge over at Splitcoaststampers! 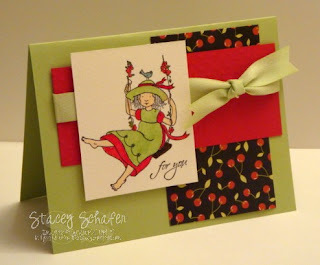 Today's Featured Stamper, Jamie, has an amazing gallery with fabulous watercolored cards! Here's my attempt at watercoloring for the FS115. Cute card Stacey. I love this stamp set. What a pretty card. I tend to stay away from sets like these because I'm not the best at watercoloring, but you did great! I really like your choice of colors and patterned paper. ADORABLE !!!!!!! That cherry patterned paper coordinates perfectly with the whimsical feel of the stamped image!